The Yukon government estimates the territory’s municipalities will get a total of approximately $300,000 back from a carbon tax rebate in 2019. Yukon First Nations are expected to receive a total of approximately $60,000. At the recent Association of Yukon Communities annual general meeting the government confirmed what Premier Sandy Silver suggested earlier this year — that First Nations and municipalities will get money back as part of the Yukon Liberal government’s plan to return all they get from next year’s coming federal carbon tax to Yukoners and Yukon businesses. Community Services Minister John Streicker said municipal governments make up about 2.5 per cent of the overall fossil fuel purchases in the territory. That will equal approximately $300,000 in carbon tax costs when the federal government implements a $20/tonne tax in 2019, he said. The First Nations’ cut will equal approximately $60,000. “We will rebate all of that to them,” Streicker said. At the AGM Premier Sandy Silver announced that flying within the territory would not come with a carbon tax. Ottawa has already said flights between the Yukon and other jurisdictions are not going to be part of the carbon tax. But “domestic aviation was originally considered to be part of it all,” Streicker said. Streicker didn’t have any specifics of what the territorial government’s rebate plan will look like. At the meeting, AYC members passed a resolution calling on the territorial government to clarify how much tax the municipalities would be getting back. “Carbon tax will place an undue financial burden on municipalities that is counter-productive to investing in energy efficiencies and strategies that would reduce their carbon footprints,” the resolution says, adding that the municipal grant has just been extended without taking into account those extra costs. Dawson City mayor Wayne Potoroka said he wasn’t expecting to hear details of how the rebate is going to work at the AGM. “It was really good news to get that commitment that we’re going to be included in a rebate for any carbon tax that’s taken away,” he said. The sooner municipalities know more about the impact of the carbon tax, the better, Potoroka said. For smaller communities budgeting starts late summer, he said. 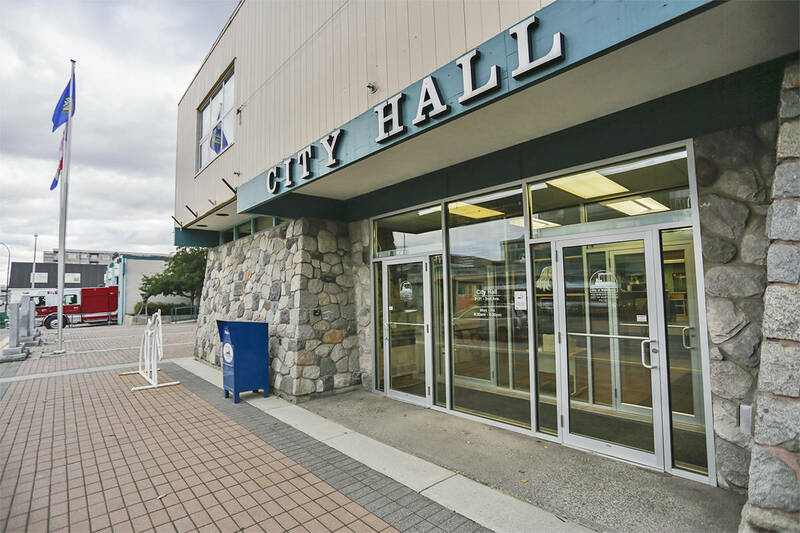 Unlike the territorial and federal governments that have a fiscal year that starts in April, municipalities set their budgets based on the calendar year. “Every municipality will have a provisional budget by Dec. 31 and that’s a budget that basically says we can prove that our expenses will not exceed our revenues,” he said. The Opposition has accused the government of providing no new details at the AGM and withholding information. “Municipalities need this information to help them budget for the future, and withholding it from them is not only unfair, it’s disrespectful,” interim Yukon Party leader Stacey Hassard said in a press release. The government is working on the rebate mechanism, Striecker said. Streicker said the carbon tax is designed to be an incentive for Yukoners to use less carbon. While the government promised to return 100 per cent of the money to Yukoners it doesn’t mean every dollar will go back to the exact person who spent it, he said.